Kababiyaan offers delicious Kebabish treat for food lovers in Islamabad and Rawalpindi. There is a delicious Kebabish treat waiting for the food lovers of the twin cities of Islamabad and Rawalpindi. Kababiyaan entered Islamabad’s food industry with its authentic and signature ‘Chappal Kabab’ (Chapli Kabab). 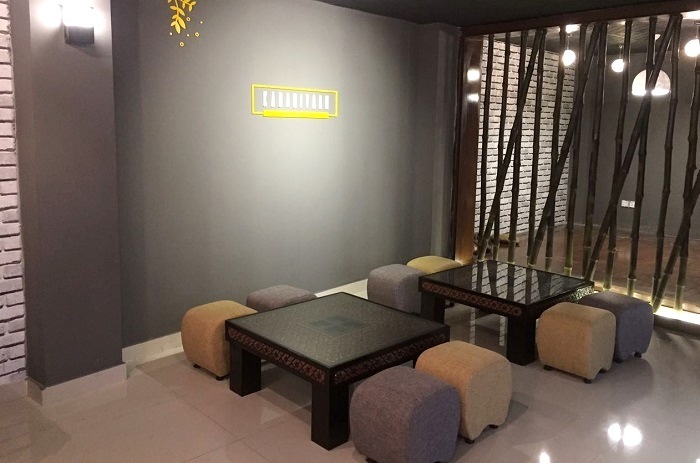 Launched on 23 April 2017, Kababiyaan offers an excellent dining environment unlike local Chappal Kabab restaurants in very economical rates. The restaurant offers both traditional on-floor Gao-Takya setup as well as table-chair seating arrangements. Located in Phase 4, Bahria town, Rawalpindi, Kababiyaan has managed to make an impression among the foodies with their original recipes. Kababiyaan is the venture of two young entrepreneurs from Peshawar – Umair Saval and Farhan Ahmed – who themselves just love Chappal kabab. They started the restaurant with an intention to bring the true taste of Khyber Pakhtunkhwa to the people of Islamabad and Rawalpindi. This restaurant is a real treat for those kabab lovers who specifically travel to KPK to enjoy authentic Chappal Kababs. Although the owners are new to the food business without any prior experience, they are pretty confident to penetrate the market. “We spend three whole months to find a perfect Chappal Kabab chef and its precise recipe” they told Islamabad Scene. 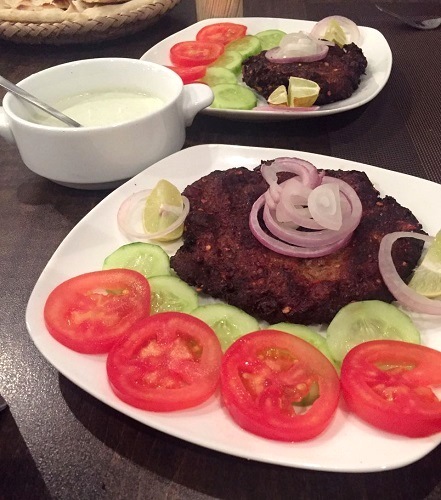 ‘The most popular dishes are Chapal Kabab, Seekh kabab Karahi and Bun kabab. We have recently added Kabuli pulao to the menu as well.” Bun Kabab and Chappal Kabab Karahi are nice variation in the menu. Having the huge Karahi outside, you can sense the real Chappal kabab environment. Although beef goes from Punjab to K.P.K, they are purchasing they minced beef from Peshawar. “Since we belong to Peshawar, we better know the market and people there. They provide precise minced beef for Chappal kabab. We regularly inspect the meat to ensure its cent percent beef” one of the Kababiyaan owners said. The best part is that the prices are much reasonable, unlike many restaurants in the vicinity og Bahria Town. A standard Chappal kabab only costs Rs. 125 and a bun kabab is available at Rs 225. The prices at this restaurant are almost same as a local Chappal Kabab shop. A good whole meal will cost you no more than Rs. 350. In addition, there is 10% off to all customers who check-in to Kababiyaan’s Facebook page. 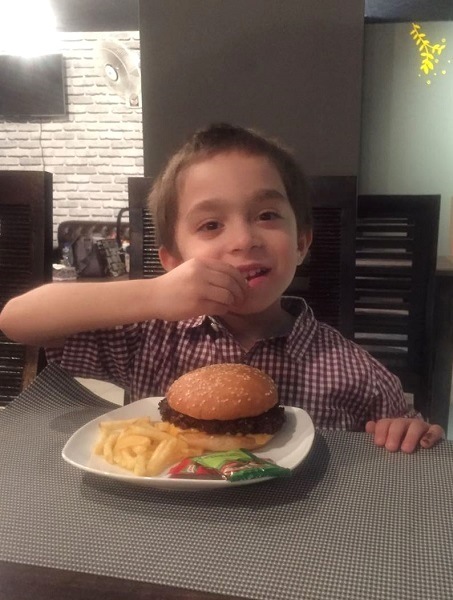 In short, Kababiyaan has successfully made its mark in the local food scene with its original taste, pocket-friendly prices, and cozy environment, offering the ultimate treat for Kabab lovers in Islamabad.